OSHA Outreach Training Program Changes Going Into Effect Soon! Looking for an OSHA 10 or 30 Hour Outreach Class or Trainer? Search no more! Please remember the new requirements for Outreach Trainers go into effect on April 1st! A summary of specific changes can be found below. As a reminder, do not let your trainer card expire! See section III.B. on page 2 of the OSHA Outreach Training Program Requirements for renewal details within 90 days of your trainer card expiration (found in the bottom right corner of your trainer card). Upon expiration of the 90-day grace period, former trainers will have to meet the trainer eligibility requirements outlined in section III.A. 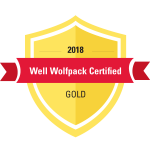 on page 1—proof of standards course completion for specific industry within the previous seven years and a completed prerequisite form documenting a minimum of five years of industry-specific safety and health experience. Agendas are a critical component of an effective OSHA Outreach class. It also helps the trainer ensure that they are meeting all of the topic requirements during their instruction, as well as contact and break-time guidelines. In addition, Outreach Trainers will want to make sure that they are in compliance with OSHA requirements in regards to what information should be included on a class agenda. For more information on agendas, you can click here, scroll down to section V.P.3. “Detailed Topic Outline” on page 17. 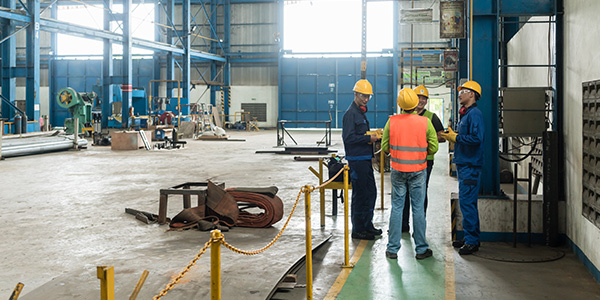 Outreach Trainers can also log into the Training Resources section of our OSHA Outreach Trainer Portal, select the correct industry, and under “Course Administration” access sample templates of 10 and 30 hour agendas. Remember, the agenda should be a reflection of the instruction that was provided throughout an outreach class, so it is crucial that trainers update their agendas at the end of each class session. Ultimately, the information from your agenda should easily be carried over to the Outreach Training Program Report and the information on the two documents should be identical. Keep in mind that trainers should retain all documents defined on pages 16-17 for a minimum of five years. Authorized OSHA Outreach Trainers, did you know that you can list your contact information on the Southeastern OTI Education Center website in the event students or employers are seeking an authorized OSHA Outreach Trainer? Federal OSHA is now establishing a similar national website; but, before we can add your name to our website or submit it to OSHA, we ask that you proceed to our Trainer Portal to update your contact information and opt-in to the website(s) where you would like to have your information displayed. If you do not want your name submitted on Southeastern OTI Education Center’s or national OSHA websites, please un-check the boxes.